Rogowsky told TMZ, “Nothing in my decade-plus entertainment career has meant more to me personally and professionally than my involvement with HQ.” Rogowsky’s face as host has long been seen as synonymous with the bar trivia app, to the point where it’s his face on the screencaps for the app in the App Store. For a time, Rogowsky was the host that HQ players saw the most often, though that’s changed. His last appearance on the show was March 24th, only a few days before it was announced that he would be hosting ChangeUp. Though Rogowsky is mostly beloved by fans for his quirky sense of humor, his time at HQ has not always been smooth sailing. In late 2017, HQ ceo Rus Yusupov did a bizarre interview with Daily Beast reporter Taylor Lorenz in which he said that he would have to fire Rogowsky if ran a profile of him. 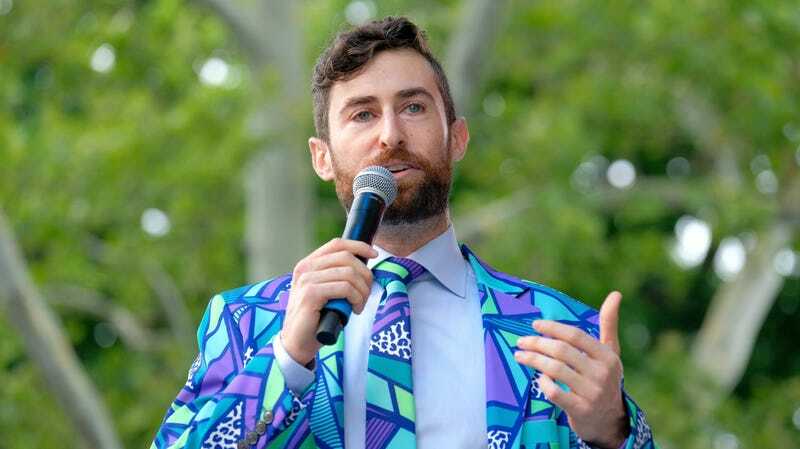 Rogowsky handled that incident with about as much grace as would be possible, and this recent job change also apparently involved Rogowsky trying to make a graceful compromise, at least at first; TMZ reports that he and Yusupov could not come to an agreement as to whether he could continue to host HQ on the weekends while hosting ChangeUp during the week.